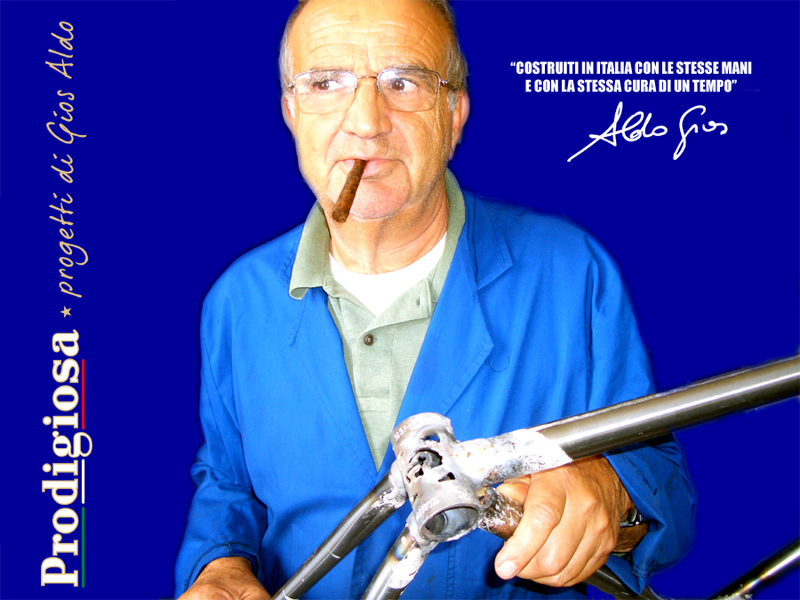 Aldo Gios started working in his father Tolmino's factory when he was a young and ingenious sixteen year old guy, in 1962... After a long experience assembling bikes the factory growes up and in 1972 he started his career as a frame builder following the needs of the family business, that the year after became the supplier of the most important team of cycling history: the Brooklyn team. But his experience with the team didn't finish with that: in 1975 he became the first mechanic of the team following riders, especially Roger De Vlaeminck through an enormous number of victories. In this period he got to know all the other professional teams, that understanding the quality of the products and that of his work asked his company to supply bikes for the following years . 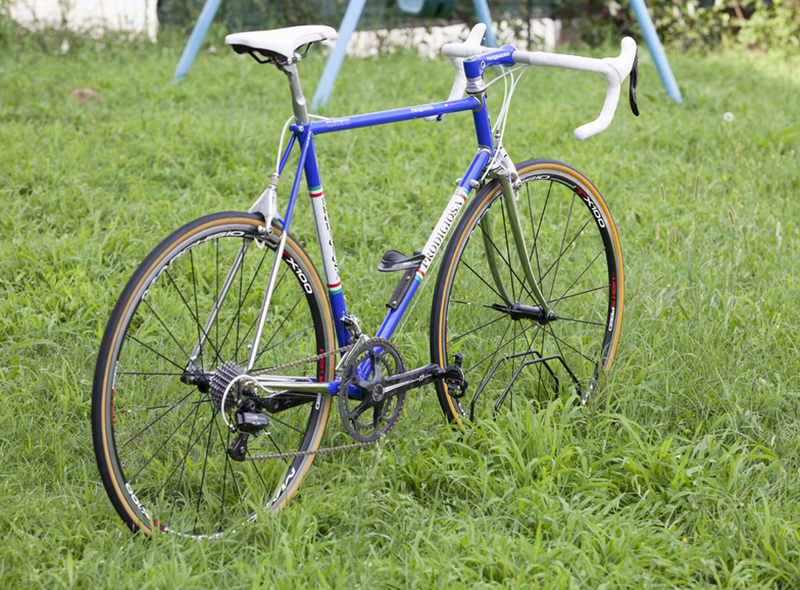 From that great experience came a series of innovations that caracterized the racing bikes from the eighties and the nineties for example bridge incorporated in the bottom bracket, the inner cables in the top tube, and most importantly, the adjustable rear drop outs. 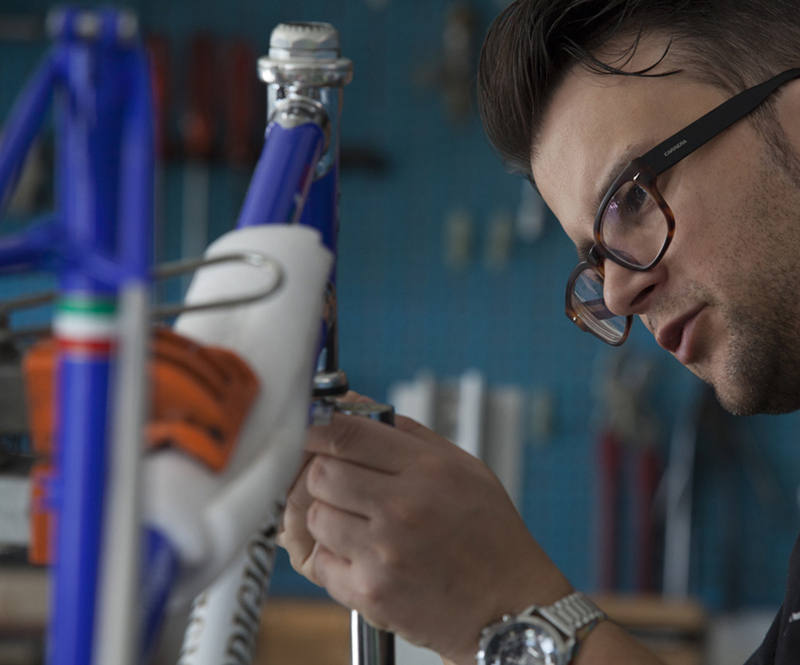 Evolution of materials didn't scare him, side by side with his selected craftsmen he checked every frame sold in the world to assure top quality standards that makes the name of his company sinonimous of the best Made in Italy. In 2009 the family brand was splitted. 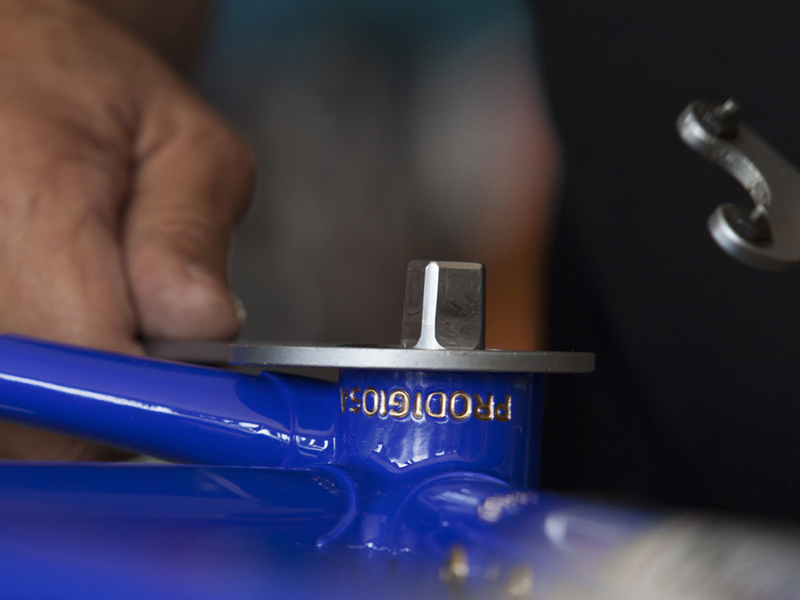 He kept the family brand only in Italy, the country of origin, feeling oblidged to associate it to products built by hand by him and his craftsmen in his country, with the help of his son Marco, architect and industrial designer born and grown up between bikes.